The genetic, molecular, and cellular mechanisms of neural development are essential for understanding evolution and disorders of neural systems. Recent advances in genetic, molecular, and cell biological methods have generated a massive increase in new information, but there is a paucity of comprehensive and up-to-date syntheses, references, and historical perspectives on this important subject. The Comprehensive Developmental Neuroscience series is designed to fill this gap, offering the most thorough coverage of this field on the market today and addressing all aspects of how the nervous system and its components develop. Particular attention is paid to the effects of abnormal development and on new psychiatric/neurological treatments being developed based on our increased understanding of developmental mechanisms. Each volume in the series consists of review style articles that average 15-20pp and feature numerous illustrations and full references. 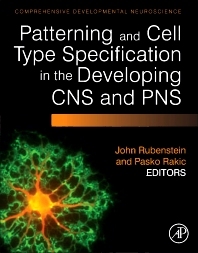 Volume 1 offers 48 high level articles devoted mainly to patterning and cell type specification in the developing central and peripheral nervous systems. Dr. Rubenstein is a Professor in the Department of Psychiatry at the University of California, San Francisco. He also serves as a Nina Ireland Distinguished Professor in Child Psychiatry at the Nina Ireland Laboratory of Developmental Neurobiology. His research focuses on the regulatory genes that orchestrate development of the forebrain. Dr. Rubenstein's lab has demonstrated the role of specific genes in regulating neuronal specification, differentiation, migration and axon growth during embryonic development and on through adult life. His work may help to explain some of the mechanisms underlying human neurodevelopmental disorders such as autism. Dr. Rakic is currently at the Yale School of Medicine, Department of Neuroscience, where his main research interest is in the development and evolution of the human brain. After obtaining his MD from the University of Belgrade School of Medicine, his research career began in 1962 with a Fulbright Fellowship at Harvard University after which he obtained his graduate degrees in Developmental Biology and Genetics. He held a faculty position at Harvard Medical School for 8 years prior to moving to Yale University, where he founded and served as Chair of the Department of Neurobiology for 37 years, and also founder and director of the Kavli Institute for Neuroscience. In 2015, he returned to work full-time on his research projects, funded by US Public Health Services and various private foundations. He is well known for his studies of the development and evolution of the brain, in particular his discovery of basic cellular and molecular mechanisms of proliferation and migration of neurons in the cerebral cortex. He was president of the Society for Neuroscience and popularized this field with numerous lectures given in over 35 counties. In 2008, Rakic shared the inaugural Kavli Prize in Neuroscience with Thomas Jessell and Stan Grillner. He is currently the Dorys McConell Duberg Professor of Neuroscience and serves on Advisory Boards and Scientific Councils of a number of Institutions and Research Foundations.